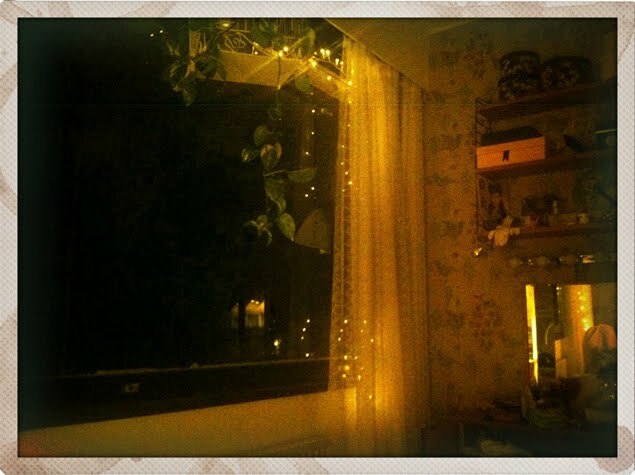 Neglected for half a year behind the curtains I have plugged my window lights back on. Felt totally right and cosy with the rain and wind outside and me curling up under the blanket with a cup of tea and the lights framing the window. Today however they felt a little bit less right as it turned +20 all of a sudden in the afternoon... Normally I am not the one to complain about unexpected sunshine and warmth, but by brain had already been set on autumn and cold. Now I just need to re-boot it for as long as the warmth will last.